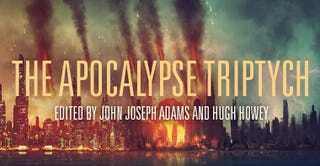 Grab Pre-apocalyptic Anthology The End is Nigh Today For Just $1.99! The End Is Nigh – a pre-apocalyptic anthology of never-before-published short stories by some seriously awesome authors (including io9's own Charlie Jane Anders) – is Amazon's Kindle Daily Deal for Science Fiction and Fantasy! Grab your own digital copy over at Amazon for just $1.99, today only!